We have been an established fixture in Indianapolis since 1927 and are the perfect space for your next special event, party, reception or charity fundraiser. 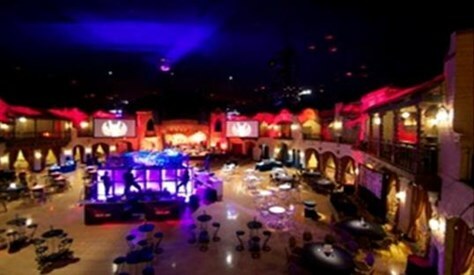 The Indiana Roof Ballroom accommodates many types of events, ranging in size from 50 to 1,500 people, including galas, proms, silent auctions, non-profit fundraisers and so much more. With state-of-the-art, concert-ready audio/visual equipment and live broadcast capabilities, the Indiana Roof Ballroom's professional production crew will work with you to meet all of your production requirements, including sound, lighting, and video needs. Our award winning culinary and productions staff will provide you and your guest’s excellent service, from start to finish. With customizable menu options and room layouts to achieve your desired setting for your event, the Roof is a truly remarkable event venue. 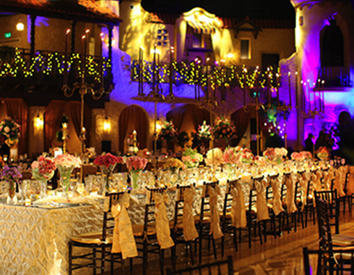 The intimate setting and grand allure of the Indiana Roof Ballroom allows our team to help you create a multi-faceted event that will provide an unforgettable experience for your guests. 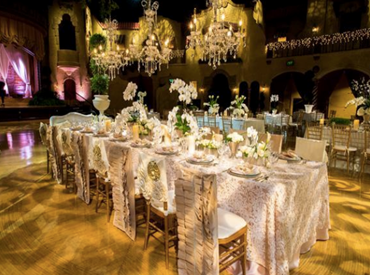 Let the Indiana Roof Ballroom be your Indianapolis event venue.